Let their imaginations take off! Rockets, planets, and stars, in red, blue, green and yellow - all on a black background. Red minky back and a matching satin ribbon. 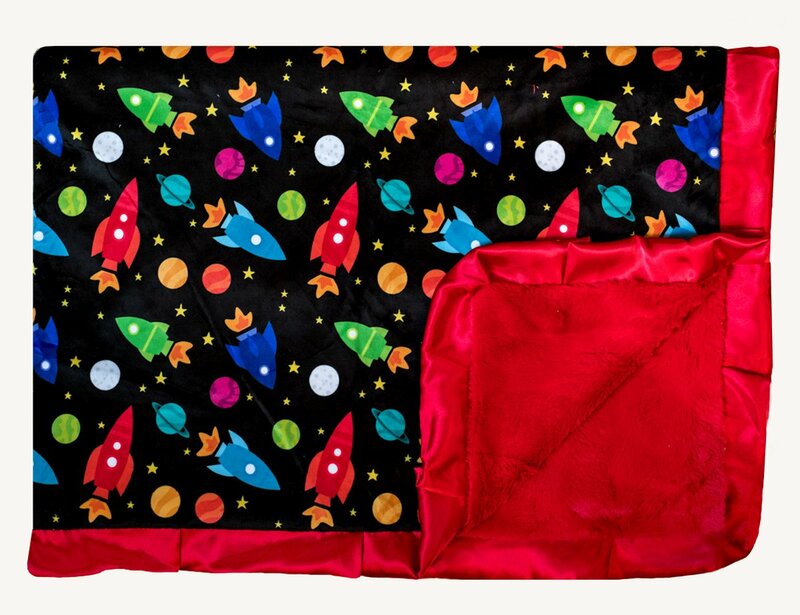 Rockets is an exclusive design and can only be found at Minky Couture.